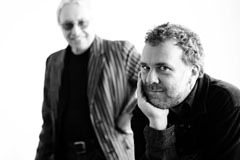 Robin Guthrie, co-founder of Cocteau Twins, performed with legendary minimalist composer, Harold Budd, to create live soundtracks for masterpieces of avant-garde cinema including works by Maya Deren, Bruce Baillie and more. Collaborators on the seminal album The Moon & The Melodies and Harold Budd's The White Arcades, Guthrie and Budd have more recently partnered to create the soundtrack for Gregg Araki's "Mysterious Skin", winner of the '05 SIFF Golden Space Needle Award. This screening performance offered a unique chance to see landmark avant-garde films coupled with the meditative poetics of Guthrie & Budd's distinctive music. 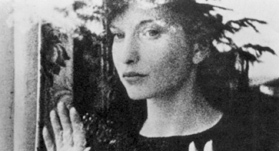 Maya Deren (1917 - 1961) was a pioneering American film-maker with a massive influence on film art. She is particularly noted for her work in theorizing film form, and exploiting notions of space, time and movement on film. Bruce Baillie (1931 - ) is one of the more important living avant-garde filmmakers and is a founding member of Canyon Cinema. His film "Castro Street" (1966) was selected for preservation in the United States National Film Registry. Baillie lives with his family on Camino Island, WA.